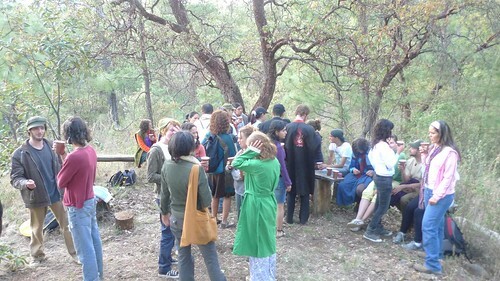 We have an annual tradition to provide mulled wine and hot tea at sunset during Semana Santa - “Holy/Easter week” - for our guests and volunteers. 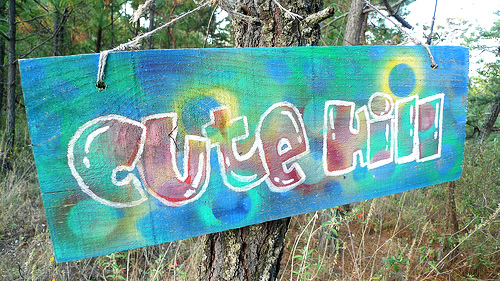 During this time of year the nights are chilly and mulled wine and cinnamon tea are nice warm beverages to comfort all as we enjoy the sunset at Cute Hill. Please don’t use a nice red wine for this recipe. Mulled wine is a perfect excuse to use crappy dry reds - you’ll mask the flavor beautifully by adding the right spices and sweetners. 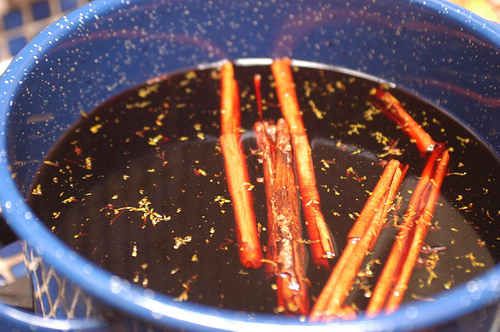 It is a Scandinavian tradition around Christmas time to make mulled wine. 6 inch cinnamon stick, or 2 T ground cinnamon. Combine all ingredients, minus water, into a large pot. Heat gently until hot. Don’t boil. Keep on low heat, stirring frequently, and avoiding bringing it to a simmer, for 20 minutes. 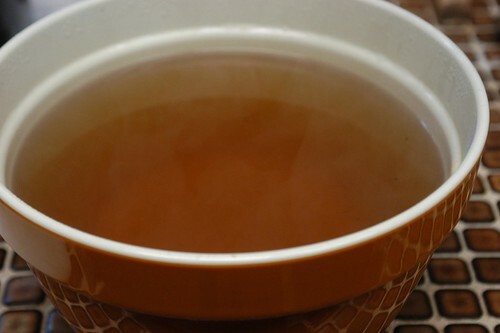 Taste and add more sweetener if necessary, and a bit of water if it is too strong. It is always important to provide alternatives to alcoholic beverages! This tea is lovely, please enjoy no matter the time of year. Bring to a simmer, turn off heat, and steep for 5 minutes. Strain and serve, accompanied with more honey or sugar for people to add as wanted. In nearly every savory recipe which calls for adding water, adding a broth instead will enhance the flavor of your dish significantly. 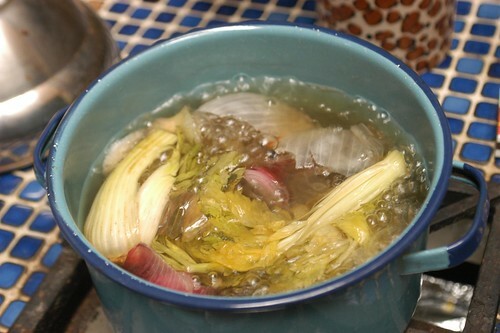 Since we eat soup every night at the Bosque, having fresh vegetable broth is essential. We also cook beans and rice in vegetable broth to give them more flavor. If you cook at home and find yourself regularly chopping vegetables, chances are you have all the ingredients you need for a nice vegetable broth. You can probably find them in your compost bin. The tops and bottoms of onion, celery, and carrots become the base for our vegetable broth. Next come some spices, and depending on what we’ve been cooking we might add some leek, garlic, herbs or tomato. But the basic stock recipe stays the same, and is adaptable depending on what scraps are on hand and what we’re having for dinner. 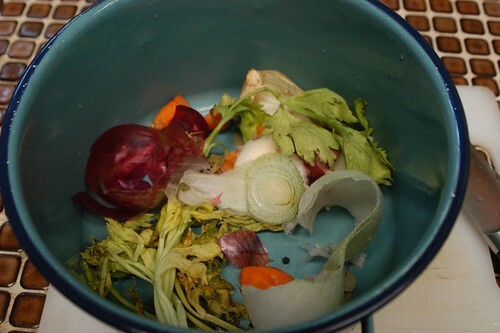 If you have a freezer you can start saving up your veggie scraps until you want to make a big batch of yummy broth. Because we don’t use a freezer or refrigeration and we cook for large groups, I usually make this recipe about every other day. 1. Put scrap onion skins, carrot tops and bottoms, and celery leaves and leftover stalks into a pot with a few bay leaves, 3-5 peppercorns, and a clove. 2. Add water and bring to a boil. Reduce heat and simmer for 10-20 minutes. 3. Strain your awesome broth. Ready to add to soup or whatever recipe calls for vegetable broth! We have an endless need for vegetable broth. If you don’t use broth every day, you can always add more vegetables and less water to have a condensed broth that you can freeze, ready to thaw as needed. 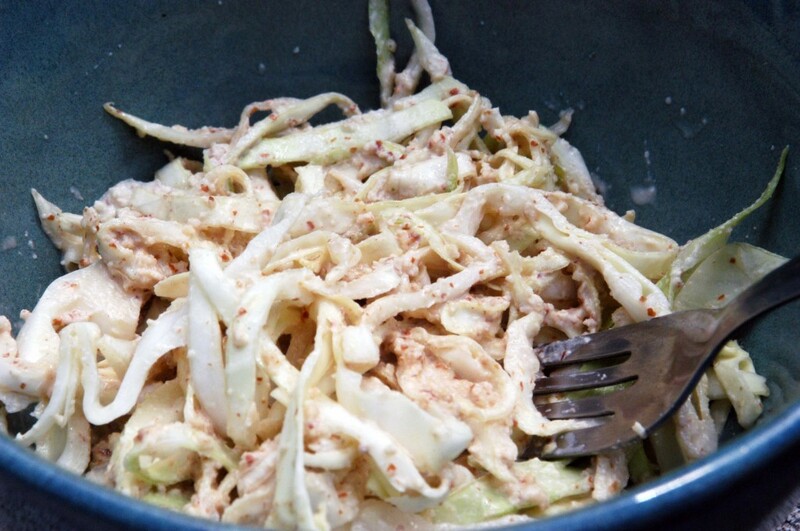 Bethany, one of our recent volunteers, inspired me to make up this recipe - she is a big amaranth fan! We’re also in a bit of a lull - lots of folks just left, and in a few days more will arrive - but with a small crowd I feel more freedom to experiment in the kitchen. Exciting to me, since while our menu provides new dishes for visitors and volunteers passing through, I’ve already tried them all. They’re excellent. But I’m always ready for something new. Amaranth is readily available in Mexico. If you explore the nearby cities, you would find people selling little cookies and sweets made of toasted amaranth and honey. The history of amaranth is interesting - the Aztecs used to shape the grain into the gods to be cut up and eaten in ceremonies. When the Spanish invaded, the Catholic priests saw this as sacrilege and forbid the cultivation of the plant. Wild amaranth still grew (we have a wild amaranth - not edible - growing here in the Bosque), and in the 1970s, due to the significant nutritional value of the seeds and the leaves of the plant, edible amaranth was recovered from the wild plants and is now widely available. I can’t say how easy it is to buy in other countries, but in Mexico amaranth is inexpensive and everywhere! Amaranth is packed with protein, making it an important part of a vegetarian diet, and is also a great source of dietary fiber, important minerals, and iron. 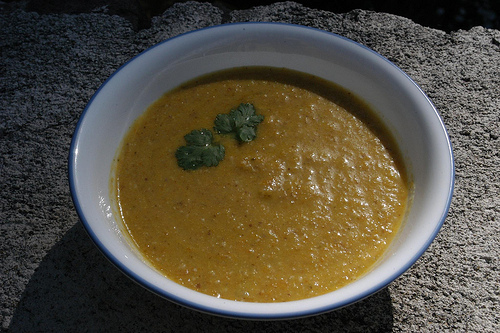 If you can’t find amaranth where you live, substitute quinoa for this recipe. Another amazing food! (Anyone with information on where to find quinoa in Mexico, please contact me!) Amaranth and quinoa are both occasionally confused as grains - they are seeds, and exceptional for their taste and nutritional value. To add to the goodness of this meal, pumpkins are loaded with beta-carotene, an important antioxidant. And garbanzos also add a boost of fiber and protein to the meal. The pumpkin seeds provide minerals and monounsaturated fat. This recipe was enjoyed by a small crowd today - only 5 people on site! We’ll make the leftovers into a soup for dinner. Since we only have one solar oven, I am limited to how much I can make in it for the mid-day meal. But this recipe would be sufficient for about 12-15 people, with a side salad and fruit. If I was making it for 15+, I would serve it with brown rice to increase quantity. And, about twice a year (once for Thanksgiving and once right about now), I make a dish with: parsley, sage, rosemary and thyme. This is specifically for my benefit, so that when I tell people what they are eating I can expect to hear some Simon and Garfunkel… so, if you don’t have those herbs, you can play around with the seasoning. It would be just as good if you took out the sage, or if you added some fresh basil or mint. Whatever herbs you have growing in your garden will be lovely in this! 1 small pumpkin, cooked, chopped into cubes. Add broth and amaranth. Cook for 10 minutes. Add herbs (reserve parsley for garnish) and turmeric. Add chickpeas, chickpea broth, and pumpkin. Cook for 5 minutes more. If you need to, add a bit of water. Mixture should be the consistency of a very thick stew. Put mixture into a large casserole. If you are using a solar oven, it is best if the pan is black. Wet the pumpkin seeds and add a bit of salt to them. Top your mixture with the pumpkin seeds, and put it in the oven. For our solar oven, the average temperature is somewhere around 220 degrees F, or 105 degrees C. I put the casserole in for about 2 hours. If you are using a normal oven, you could probably put it in for 45 minutes at 300. Take care not to burn the pumpkin seeds. When the dish is cooked, pull it out of the oven and garnish with parsley. I also served this with slices of lemons, though if you want you could add lemon juice to the original mixture. Entries (RSS) and Comments (RSS). 18 queries. 1.910 seconds.